The North Face Recon is a very sleek and functional urban pack. It is a frequent sight at college campuses everywhere and should just about have it’s own plug in the campus tours as well. Coming in at 19 different colors/combos the Recon holds the most variance of styles and is guaranteed to offer a style for everyone. 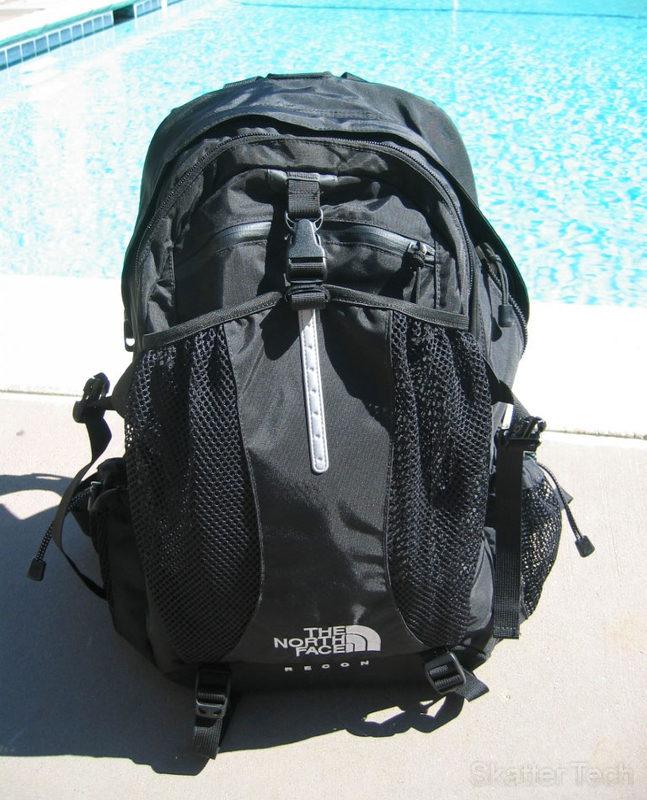 While not a large pack (main compartment 1520 cu in, secondary compartment 330 cu in), the North Face Recon offers sufficient space for the majority of people out there. 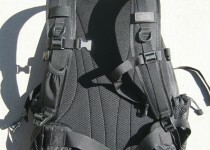 The North Face Recon is constructed out of 420D Nylon (main body) and 1680D Nylon (bottom). 420D Nylon works fine strength-wise, but won’t hold up to rugged or harsh conditions. Luckily, this pack takes most of its beating on the bottom where the beefy 1680D construction should ensure a long-lasting bottom portion of this pack. Looking over this pack the stitching is fine, although no hints of double-stitching can be found anywhere. It’ll hold it’s own, but don’t count on being able to push it to the max. Since this pack is made of all nylon it is decently water-resistant and you can safely put this pack under a faucet for a minute without worrying about your belongings getting all soggy. This water-resistance also makes cleaning the outside much easier. All the zippers on this pack are tried and true YKK built to last. The Northface Recon is made in Vietnam, but was one of the better made non-USA made packs. The pouch layout of the Recon is fairly standard. Peeking into the main compartment of the Recon you’ll notice a very conventional, and not the most safe/secure, laptop holding sub-pouch. It’s comforting to see a 1″ nylon fastex top fastener for your laptop. I much prefer this to a simple hook and loop fastener featured in one of the other packs. The laptop compartment can accomodate a 17″ laptop, although it will be a tight squeeze. As a general rule of thumb, all laptop compartments double as a hydration bladder compartment and the Recon functions just as well with a hydration bladder in the laptop compartment as a laptop. Moving around the pack some more are your standard assortment of pouches. An organizer pouch, snack pouch, ect. One interesting thing on this pack are the dual water-bottle pouches on the outside. I suppose North Face caters to both right and left-handers by placing a water bottle pouch on each side, although they might just be advocating their customers have extra water. It may have been more useful to replace one of those pouches with a zippable pouch that can double as another accessory pocket (to hold your laptop charger perhaps?) as well as a water bottle holder. I can’t say I found much use for the external cargo net on the front of the pack, although many people use it to stuff a spare piece of clothing. It’s convenient for quickly stowing larger objects, or dirtier ones that you wouldn’t want to gunk up the insides with. On the right shoulder strap is a handy compression pouch. It’s perfect for your cellphone or keys. Located above that is a cable/wire/hydration hose router which is always a nice touch. A very useful feature on the bottom of the Recon are some compression straps. They allow the user to adjust how far out they want the bottom of the pack to be able to go. 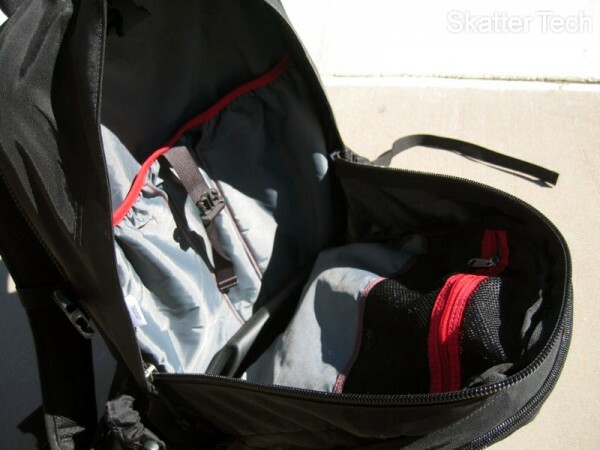 This sets up the pack so that it doesn’t slouch as easily or fall over all the time. A very welcomed feature on the Recon is the rigid internal frame sheet in the back. This adds to the comfort of the pack and helps it maintain it’s shape while under load. For both men and women comfort with the North Face Recon stands at the pinnacle. 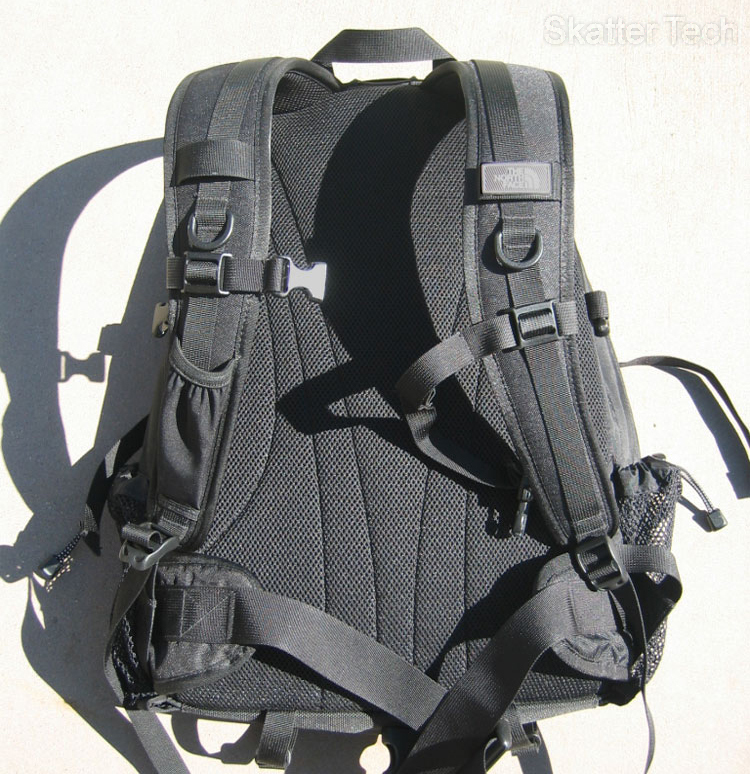 With a standard load none of the other packs came close to the Recon in the comfort department. 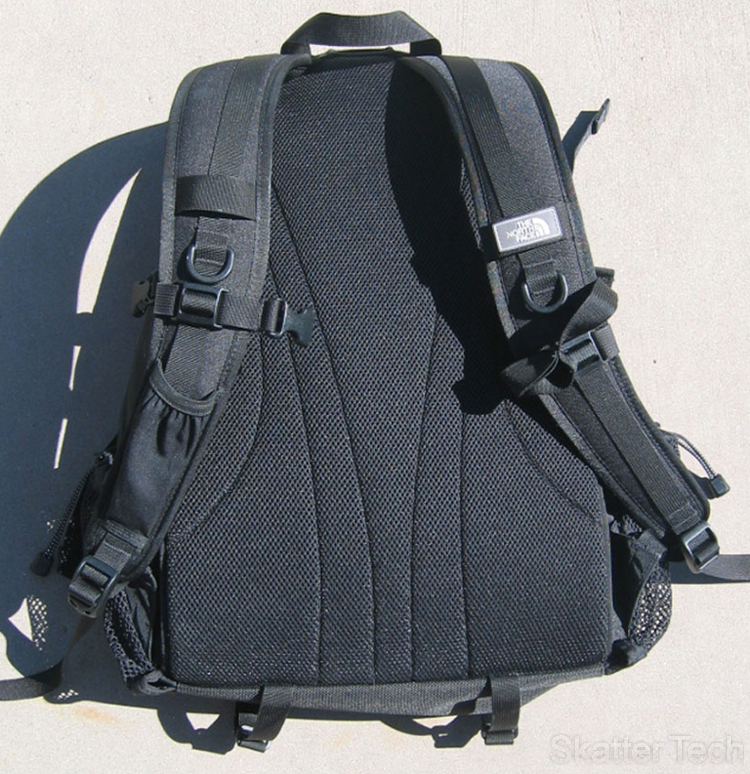 Although the shoulder straps are fairly thin, their width spread the load very well. 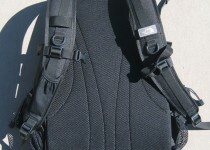 To supplement heavier loads a sternum strap and concealable waist strap are included. These show their worth with heavier loads (such as a few large textbooks along with your laptop), although still couldn’t make the Recon retain its spot as king in the comfort department with heavier loads.